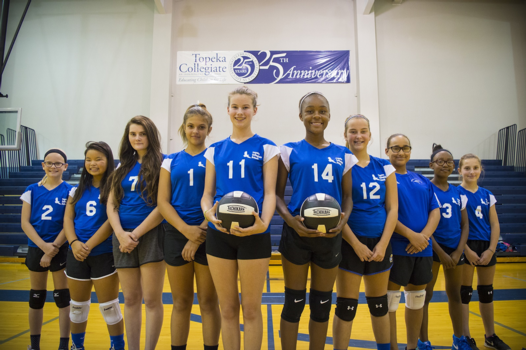 There is an opportunity for girls in grades 6th-8th to participate in volleyball as a part of the Topeka Parochial League, which is comprised of the Parochial schools in town. 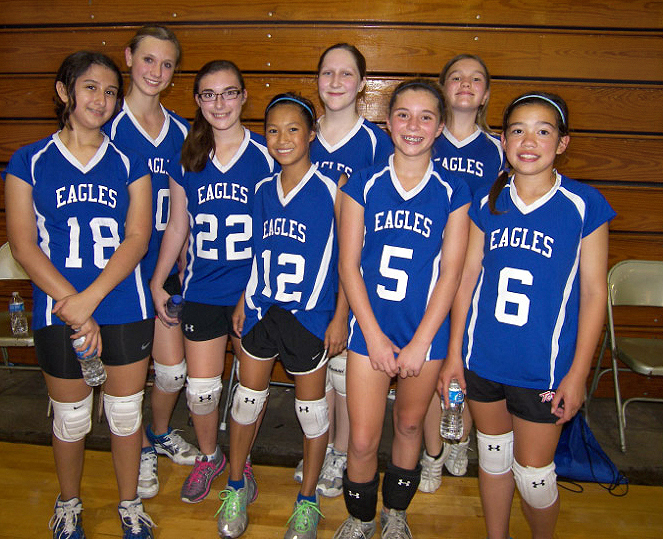 Depending on the number of girls who decide to play, we have a 6th grade team, a 7th grade team, and an 8th grade team. 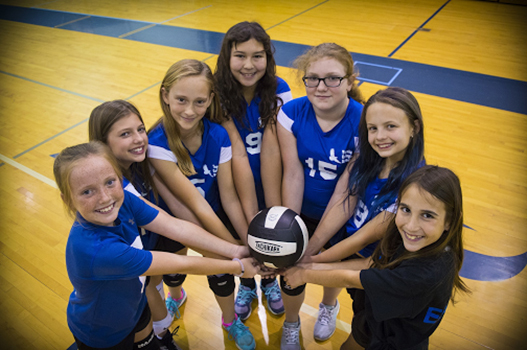 Each grade level plays a regular season schedule of games, followed by a post-season tournament that is around the first of November. Games have been played at Topeka Collegiate School, but most frequently at Hayden High School. Volleyball is the sport through which I am able to express my God-given talents of being an athlete. It is a sport which involves relating, pushing and encouraging your teammates. It has helped evolve me into the person I am today.